Kinew James and Maureen Mandijarra were two Aboriginal women who went into custody and never came out. They are part of the Commonwealth of Missing and Murdered Aboriginal Women. Canada killed Kinew James; Australia killed Maureen Mandijarra. And the abuse of these two women doesn’t end with their death. Kinew James died in January 2013, and her inquest is finally going to take place in April 2016. Maureen Mandijarra died in custody in 2012, and her inquest is only now taking place. The State honors Aboriginal women with brutality. 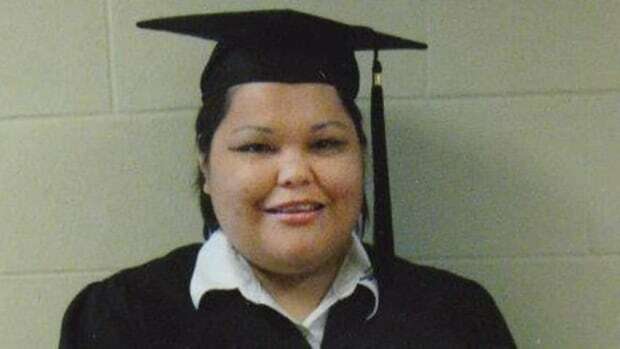 Kinew James was a “troubled” young woman. She entered prison at 18, sentenced to six years. That doubled to twelve, thanks to “misbehavior” and to her deteriorating mental health. Subsequent years were a blur of self harm and attempted suicide; frequent relocation as one institution after another failed to help her; and long and frequent periods of solitary confinement. But she was improving. Kinew James succeeded in graduating from high school while in prison, and, at the age of 35, was looking forward to getting out and moving on. On Saturday, January 19, 2013, Kinew James talked with her mother, and all seemed well. By evening, she was complaining of pains. That night, moaning and crying, she pressed the distress button … five times. The guards ignored her pleas, and are reported to have turned off or muted her alarm. After an hour, a nurse finally went in, and found Kinew James unresponsive. The nurse then waited 12 to 15 minutes to declare a medical emergency. James died in the hospital, but she was killed long before the ambulance took her away. Maureen Mandijarra was arrested for public drinking on the evening of November 29, 2012. She died in police custody the next day. Mandijarra was 44 years old. The police brought her in and dumped her on the floor in a police cell. She lay there perfectly still for at least six hours. She never moved, and no one, other than a cellmate, noticed, because no one ever checked. Over three years later, the inquest is now taking place. It’s taken so long because provincial and local police dragged their feet for years, and never provided any reports until recently. Kinew James’ and Maureen Mandijarra’s stories are not the same story. What is the same narrative is that of State abuse of Aboriginal women. Like the United States, Canada and Australia have invested heavily in the devaluation of Aboriginal women’s bodies and lives. The rising rates of incarceration married to the plummeting budgets for assistance say as much. So do the women’s corpses, decade after decade, year after year. For Aboriginal women, the histories and lived experiences of colonial occupation and violence not only continue to this day. They are intensifying. Since the 1990s, the number of Aboriginal deaths in custody in Australia has skyrocketed, through one Royal Commission on Aboriginal Deaths in Custody after another. State practices and policies generally criminalize mental illness, alcohol abuse, and poverty; and add additional punishments if the subjects at hand are women. For Aboriginal women who live with mental illness, alcohol or drug dependency, poverty, the sentence is death.